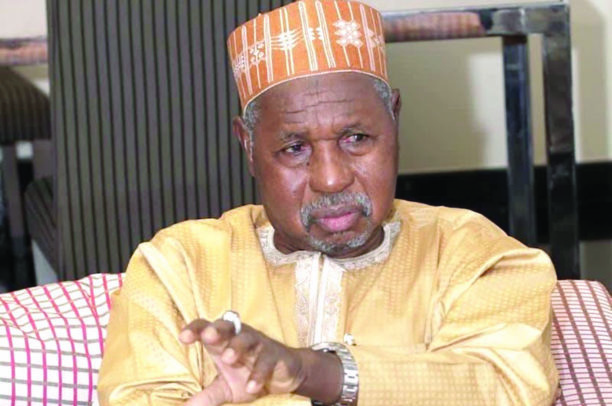 KATSINA – Governor Aminu Bello Masari of Katsina State has hailed Nigerians over the victory of President Muhammadu Buhari saying it shows Nigerians have confidence in the President’s ability and capability to lead the nation to the right path. The Governor stated this while reacting to the re-election of the President for second term in office. Masari said the reemergence will offer the President the opportunity to consolidate gains and achievement recorded in the first term. In his words: “We thank the people of Nigeria for once again reaffirming their confidence in the ability and capacity of President Muhammadu Buhari to steer the affairs of this nation for the next four years. I am sure the opportunity given to President Buhari would give him opportunity to lay a solid foundation for rebuilding our country, Nigeria. “I think it is work in progress, the areas he has promised in 2015 are still relevant so they are still on them, only that during the period of the four years, some of the lapses or shortcomings in some areas must have been identified and am sure the president will address them during his second term. On the upcoming governorship and state assembly elections in the state, Governor Masari urged the people of the state to rededicate themselves to once again show that Katsina state is APC by returning all candidates of APC like they did during the presidential election. “I am hopeful that the people of katsina will come out en masse and vote for APC because they have already shown that they are APC. And I want to believe that they will continue to be APC,” Governor Masari said.